How will you stack up to the legend of the Aztecs? To win the favor of the high priest, players must build a temple out of inscribed stones according to divine laws. Every added stone must bridge the two underneath and match them by color or glyph. 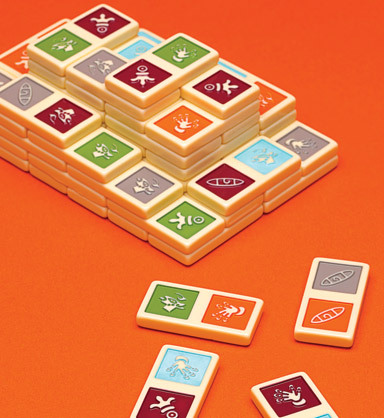 Only the most observant and strategic player will win this stacking game. 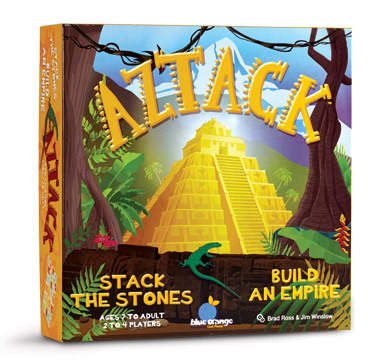 Block out your opponent and stack the most stones to rise to the top of the Aztack!